Jul13 Comments Off on New Hardcover Large-Print Release! From her earliest days, Patsy Jefferson knows that though her father loves his family dearly, his devotion to his country runs deeper still. As Thomas Jefferson s oldest daughter, she becomes his helpmate, protector, and constant companion in the wake of her mother s death, traveling with him when he becomes America s minister to France. It is in Paris, at the glittering court and among the first tumultuous days of the French Revolution, that fifteen-year-old Patsy learns about her father s troubling liaison with Sally Hemings, a slave girl her own age. Meanwhile, Patsy has fallen in love with her father s protege, William Short, a staunch abolitionist and ambitious diplomat. Torn between love, principles, and the bonds of family, Patsy questions if she can choose a life as William s wife and still be a devoted daughter. Her choice will follow her in the years to come to Virginia farmland, to Monticello, and even to the White House. 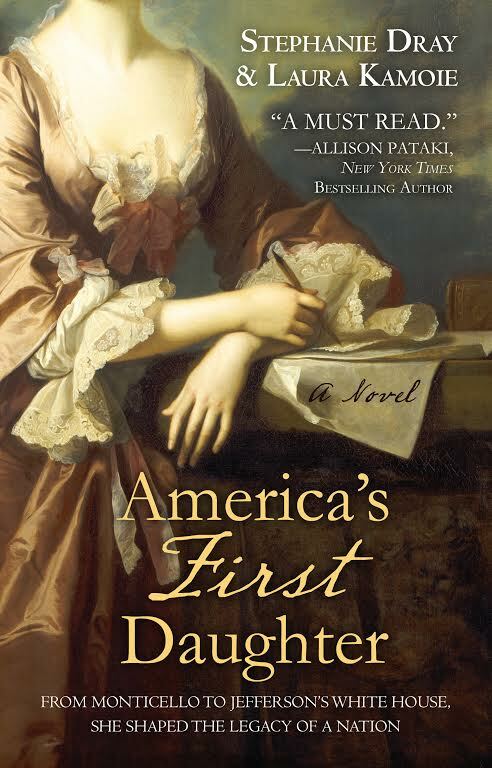 And as scandal, tragedy, and poverty threaten her family, Patsy must decide how much she will sacrifice to protect her father s reputation, in the process defining not just Jefferson s political legacy but that of the nation he founded. Available in ebook, paperback, audio, and now hardcover!